See also: ???? Kenji Kawai (???? 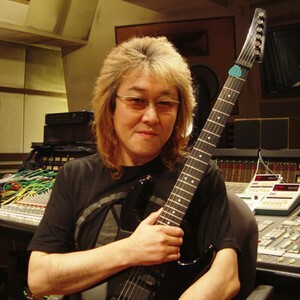 Kawai Kenji, born April 23, 1957 in Shinagawa, Tokyo) is a Japanese composer with several film scores to his credit. Having composed a variety of soundtracks ranging from anime to horror (Fate/Stay Night, Higurashi no Naku Koro ni, Ringu, Ringu 2, Seven Swords, Dark Water, Avalon), Kawai has established himself as one of the most recognisable composers of his time. Kenji Kawai (???? Kawai Kenji, born April 23, 1957 in Shinagawa, Tokyo) is a Japanese composer with several film scores to his credit. Having composed a variety of soundtracks ranging from anime to horror (Fate/Stay Night, Higurashi no Naku Koro ni, Ringu, Ringu 2, Seven Swords, Dark Water, Avalon), Kawai has established himself as one of the most recognisable composers of his time. It was however through his contribution in recording music for the radio actor Yuji Mitsuya that he met the musical director Naoko Asari. It was after this collaboration that Asari recommended that he compose soundtracks for animations. Among his works in anime are the scores for Ghost in the Shell (1995), Innocence: Ghost in the Shell (2004), Irresponsible Captain Tylor (1992), "Mezame No Hakobune" (2004), Patlabor and Vampire Princess Miyu. He is a frequent collaborator of director Mamoru Oshii. He is Hideo Nakata's right hand. He has also been participating in making the music of the third game in the series "Silent Hill". Currently, he is composing the score for the fall anime series, Mobile Suit Gundam 00.